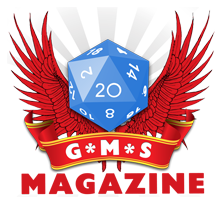 Welcome to the new episode of the boardgame edition of the G*M*S Magazine Podcast. In this episode we have an interview with David Sirlin, from Sirlin Games fame; creators of Yomi, Puzzle Strike and Flash Duel. Arguably the best fighting games out there, though you’ll have to play them to find out if they’re as good as I think they are (and I think they’re very good!). David also tells about his experience with Kickstarter, where Puzzle Strike has been successfully funded to create the third edition of the game. Judging by David’s words, it sounds very, very promising! Dr. Mike Reddy and I also talk a lot. About a lot of things, like Ouya, the Android OS videoconsole being funded in Kickstarter at the moment of writing this. I say “being funded”… It’s already got over $3 Million! The RPG Room – Are games still uniting us?